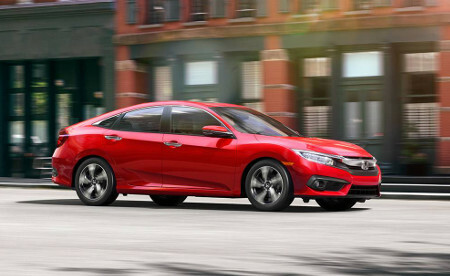 The 2016 Honda Civic offers Goshen and Monroe drivers significantly more than the 2016 Chevrolet Malibu, whether that means better features or stronger efficiency ratings. 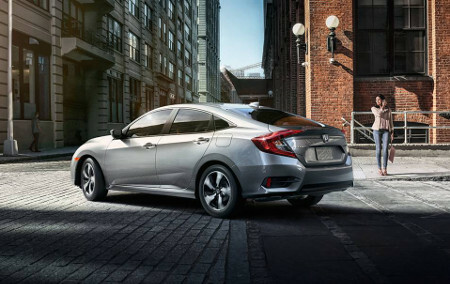 As the 10th generation model, the Civic is positioned to provide a thoroughly modern ride for drivers all across America, retaining its position as one of the most popular sedans in the country. LX: As standard, the Civic offers an electric parking brake with automatic hold feature, Bluetooth HandsFreeLink system with streaming audio, and a multi-angle rearview camera with guidelines. EX: The EX provides a Honda LaneWatch system, Apple CarPlay® or Android Auto™, and a state-of-the-art 7-inch display audio touchscreen. EX-T: The EX-T enhances your drive with a 1.5L turbocharged engine, then adds fog lights, dual-zone automatic climate control, and heated front seats as standard. EX-L: The EX-L is all about comfort. You’ll sink into leather-trimmed seats – with 8-way power adjustment for the driver – and control your drive with a luxurious leather-wrapped steering wheel and shift knob. 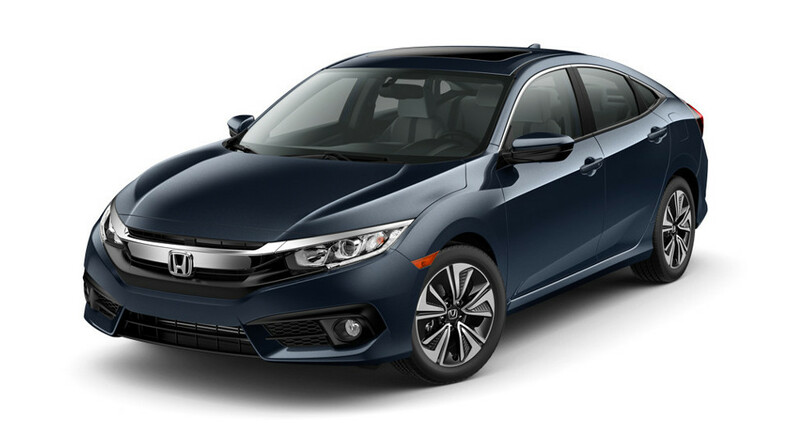 Touring: The Touring trim is a high-tech powerhouse, offering a range of Honda Sensing driver assistance technologies, a 450-watt, 10-speaker premium audio system, and LED headlights. 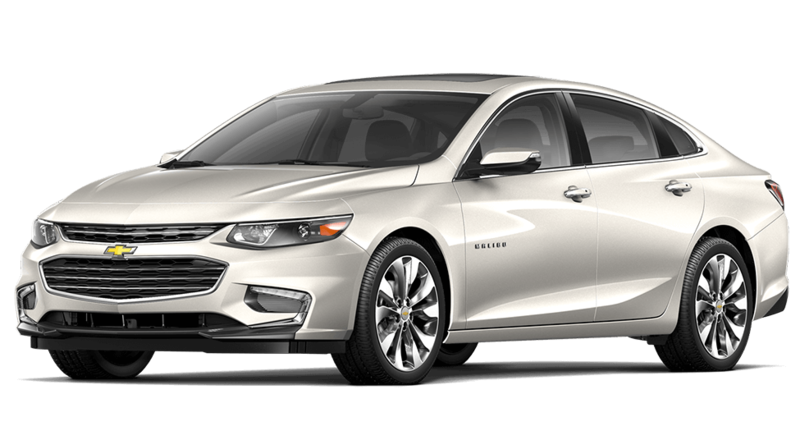 The 2016 Chevrolet Malibu starts with the L model, delivering features such as a basic rearview camera, air conditioning, and cruise control. Other models include the LS, 1LT, 2LT, and the upper-level Premier, which offers dual-zone climate control and heated seats. The 2016 Honda Civic differs greatly from the 2016 Chevrolet Malibu when it comes to power and efficiency. The Civic provides a sharp and responsive ride with either the 158 hp 2.0L four-cylinder engine or the available turbocharged 1.5L, which makes up to 174 hp and 162 lb-ft of torque. However, it manages to blend that level of power with stunning efficiency ratings; Goshen and Monroe drivers will earn up to 31 mpg in the city and 41 mpg on the highway* with the 2.0L engine and a continuously variable transmission (CVT) or an even more impressive 31 mpg city and 42 mpg highway* with the 1.5L engine and a CVT. In contrast, the 2016 Malibu focuses solely on power — either 160 hp from the standard 1.5L engine or 250 hp from the available 2.0L turbo. That’s not really the kind of power you’re likely to need, and it comes at the price of fuel economy. You’ll earn only 27 mpg city/37 mpg highway with the base engine or a fuel-thirsty 22 mpg city/32 mpg highway with the available 2.0L. The recent redesign of the 2016 Honda Civic has lent it a modern interior, ideal for Goshen and Monroe drivers who value style, luxury, and functionality. The vehicle has been laid out to intuitively meet your every requirement, and makes use of high-grade materials throughout. The redesign also extended interior dimensions, so this compact sedan feels just on par with the midsize Malibu. 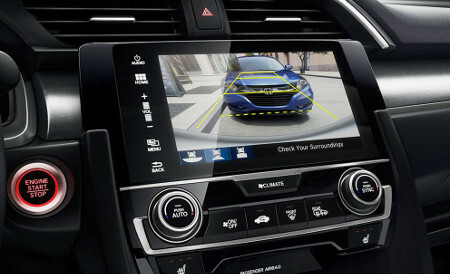 Honda can always be counted upon by Goshen and Monroe drivers when it comes to onboard technology, and that’s never been truer than with the 2016 Honda Civic. Apple CarPlay®/Android Auto™: The latest automotive connectivity software lets you sync your smartphone to your Civic, then use a range of features and apps right on the 7-inch display audio touchscreen. Multi-Angle Rearview Camera: The 2016 Malibu also offers a rearview camera as standard, but it doesn’t boast the three separate viewing modes of the one found in each and every Civic. Rain-Sensing Windshield Wipers: Your Honda Civic is one of the smartest compact sedans around — it can actually sense the amount of rainfall hitting your windshield, then turn wipers to the appropriate speed. ACE Body Structure: ACE stands for Advanced Compatibility Engineering, and it ensures that the body crumples intuitively in the unlikely event of a collision to direct impact energy away from occupants. Honda LaneWatch: Use your indicator and a small camera beneath the passenger-side mirror will play a live feed on your touchscreen, revealing nearly four times more than the mirror alone. 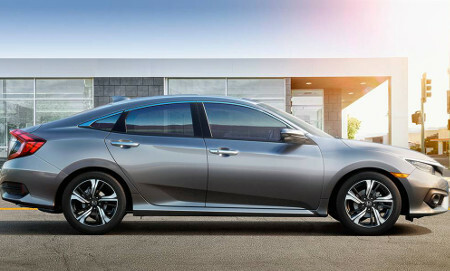 Goshen and Monroe drivers looking for an efficient, comfortable, and high-tech sedan should head straight for Middletown Honda to take the 2016 Civic out for a test drive. Alternatively, for any further information, just contact one of our team members today.